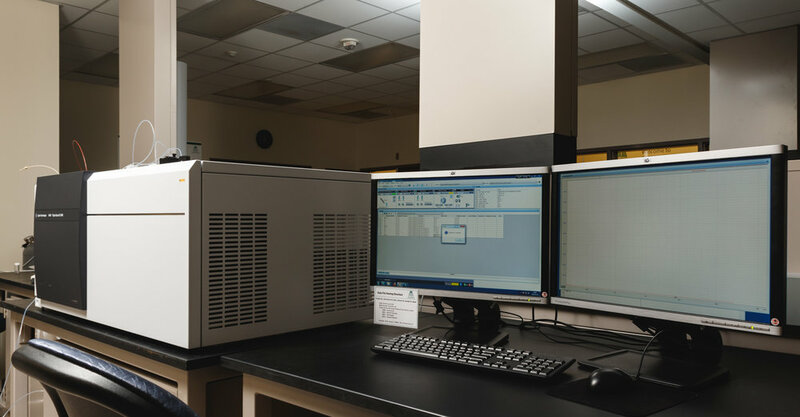 The Center is well-equipped with state-of-the-art instrumentation to provide a competitive edge for investigators at MCW and partner institutions. High resolution and high mass accuracy instrument dedicated to proteomic and glycoproteomic analyses. Operated only by the most experienced experts in the MS Center. The Lumos is the most advanced MS instrument currently available. Capable of identification and quantification of peptides, proteins, post-translational modification identification, and top-down fragmentation of intact proteins. Four modes of fragmentation (CID, HCD, ETD, EThcD) support the analysis of a wide range of molecules, including glycopeptides, glycans and modified peptides. Features a 30 Hz Orbitrap and Advanced Peak Detection. Resolving power > 500,000 @ m/z 200. Mass range = 50-6000 m/z. High resolution and high mass accuracy instrument used for glycan structural analyses. Operated only by the most experienced experts in the MS Center. Low resolution analysis of small molecules, proteins, and peptides. Equipped with nanoLC for automated injection. Used for QC testing and available for self-service projects. Small molecule accurate mass determination, intact protein and simple peptide mass measurements. Available for self-service projects. Targeted quantitation of metabolites and small molecules.Operated only by the most experienced experts in the MS Center. Low resolution analysis of small molecules, proteins, and peptides. Equipped with microflow LC for automated injection. Available for self-service projects. GC-MS used for the measurement of volatile organics and lipids. Available for self-service projects.